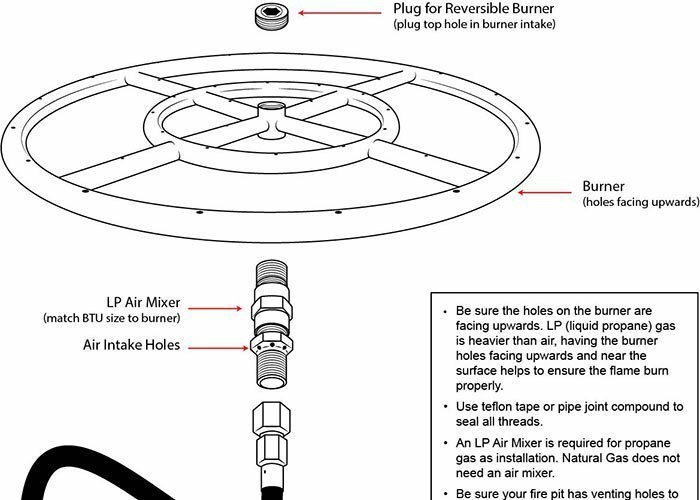 Installation of a fire pit burner using liquid propane gas (LP gas) is different from a natural gas installation. 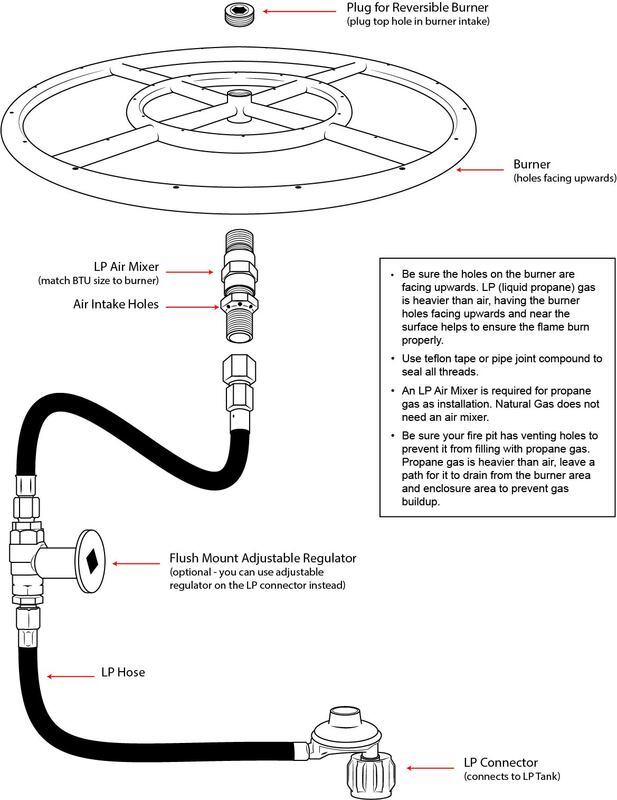 LP gas requires a greater air/gas mixture than natural gas; therefore, you’ll need to be sure to install an air mixer to the intake side of the burner. The air mixer should be sized to the burner size (i.e. 90k BTU air mixer for 90k BTU burners).